Central City had long been defended by super-powered individuals called Guardians. That came to an end during the Battle of Central City, when Captain Justice fought a whole group of supervillains. Though the villains were defeated, Captain Justice disappeared. In the 30 years since, Central City has been taken over by evil corporations and mob families. During a field trip, an accident happens at a research facility, giving several people new and unique super powers. They are the new Guardians of Central City and they've got some cleaning to do. 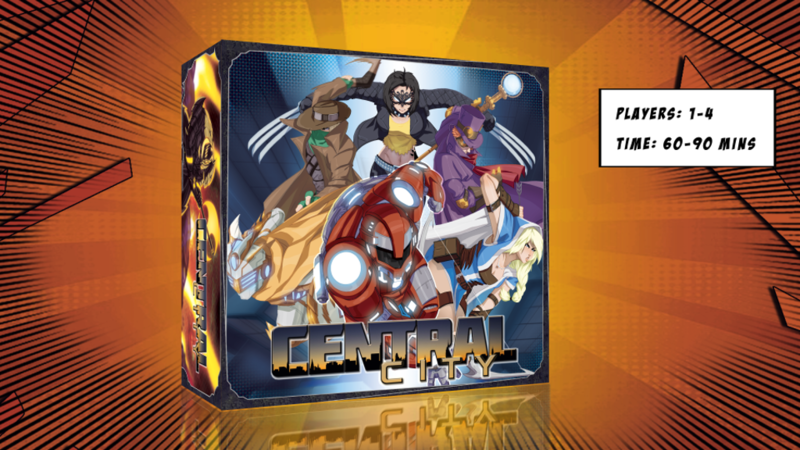 That's the story behind Central City: Heroes, a new board game that's back up on Kickstarter. The game is a cooperative board game for 1-4 players. Take on the role of a superhero with unique power sets. You'll have to take on evil minions, complete missions, gather together more heroes, and enhance your powers in order to defeat your nemesis, the Nemesis (seems an appropriate name). Complete all 5 of your missions in order to be successful and return Central City to the glory days of peace an prosperity.